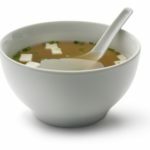 Experiencing the umami taste is universal and does not belong to any one culture or any one cuisine. 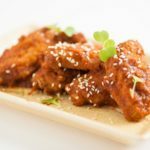 As stated on this website’s Homepage, “Every cuisine has its characteristic ‘flavor principle,’ but umami transcends them all.” The flavor principle of umami becomes even more appreciated as chefs and home cooks strive to reduce fat and salt (sodium) in their favorite savory foods recipes. 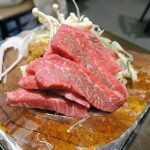 Umami is a pleasant savory taste (actually recognized as the fifth taste) that is imparted by glutamate either naturally in flavorful savory foods, or added as umami seasoning (MSG). Broil or pan fry with a little oil until just cooked - about 5 minutes. Heat the leftover marinade and serve with the beef. 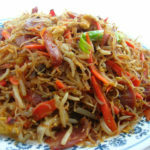 Generally this dish is eaten with boiled rice. Ruby port -- a sweet wine -- gives extra depth of flavor to the caramelized onions. 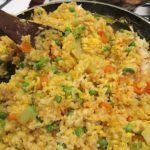 A savory side dish that's vegetarian and a Chinese classic! 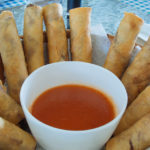 These crispy homemade Egg Rolls, pan-fried, are made with a delicious combination of bean sprouts, meat, celery, water chestnuts, fresh ginger, and onions. Mix all ingredients together in a bowl and referate one to three hours. Drain extra liquid from mixture and place a tablespoon of filling on wrapper (have wrapper on counter top with one point towards you.) Roll away from you to half way and fold ends in, continue rolling sealing the end with a little water and cornstarch mixture. Fry in a skillet with 1/2 inch cooking oil (or you can deep fry) until golden brown on all sides. 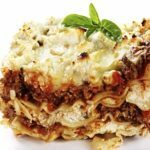 Don't be afraid to experiment, substitute shredded chicken for pork, add bamboo shoots and/or mushrooms, or add shredded cabbage. Optional: sweet and sour sauce, for dipping. This spicy Rice Vermicelli Salad is fresh and flavorful and easy to make, featuring fresh vegetables and an Asian-inspired sauce for mixing in with the noodles. Prep all of the ingredients before you start making the salad. First, either cook the rice vermicelli in boiling waiter in a saucepan until it is soft and tender, or place it it a large bowl and submerge it in boiled water until it is soft and tender. When it is cooked, strain and let cool down completely. Peel half of the green papaya, and then wash it under cold water to remove any excess sap. Shred the peeled half of the papaya with the KOM-KOM miracle knife, or a cleaver/knife. Store the remaining half of the papaya for another dish. Peel and shred the carrot with the KOM-KOM miracle knife. Wash and slice the Kermit eggplants. Wash and thinly slice the radishes. Wash the chilies. Peel the garlic cloves. Wash and halve the cherry tomatoes. Quarter the lemon/lime. Peel the garlic cloves, wash the chilies, slice the lemon/lime into wedges, halve the cherry tomatoes. In a Lao/large mortar, add the chilies, garlic cloves, shrimp paste, salt, sugar and MSG. Carefully pound the ingredients with the pestle to a medium consistency. Be careful so that the ingredients do not splatter into your eyes. 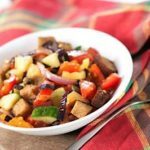 Add the sliced Kermit eggplants and gently pound to mix into the ingredients. Use a spoon to help mix and stir the ingredients together. Add the shredded papaya and carrot and gently pound to mix into the ingredients. Add the sliced radish and gently pound and mix into the ingredients. Add the halved cherry tomatoes and gently pound and mix into the ingredients. Squeeze in the lemon/lime juice. Add the fish sauce and padaek/fermented fish sauce. Gently pound and stir/mix the ingredients together. 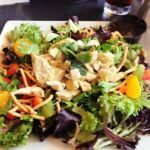 Taste the salad and adjust the flavour to suit. What you're aiming for is a delicious savoury/salty/sour/spicy mix of flavours. Flavoursome, intense, punchy and funky! Then, add the cooled/cooked rice vermicelli, and very gently mix into the ingredients with the pestle and spoon. With a large spoon, carefully and neatly transfer the salad and sauce to a serving bowl or plate. 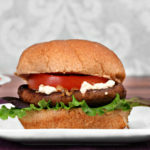 Serve with cooked meat and fresh leafy vegetables of your choice. 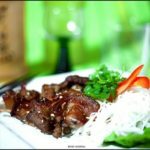 Walk into any Vietnamese restaurant and you will see someone eating Bún Thịt Nướng, which is basically a grilled pork dish served on top of noodles. The caramelized marinade gives this Vietnamese Grilled Pork a delicious smoky-sweet flavor. Combine all ingredients from shallots through vegetable oil in a large bowl. Add the sliced pork to the bowl. Using your hands, massage the meat and marinade to make sure that the marinade is evenly distributed and coats every slice of meat. Allow the meat to soak in the marinade overnight or for up to 24 hours. Traditionally, thịt nướng is cooked on a grill employing a “meat cage.” These devices can be purchased in the housewares section of any well-stocked Chinese or Vietnamese supermarket. If one cannot be located, the pork can be skewered onto bamboo sticks that have been soaked in water for 20 minutes. If using a meat cage, coat evenly with non-stick spray and layer the pork only one slice deep to ensure even cooking. Grill the meat on low to medium heat with the lid closed for most of the time in order to keep the meat moist. Flip the meat cage once the pork has developed a sear and is evenly caramelized on one side. Once the pork is cooked through, transfer the meat onto a serving platter. Serve thịt nướng atop rice noodles, steamed jasmine rice, or inside a baguette along with all the fixings—fresh mint, shredded lettuce, sliced cucumbers, pickled carrots and daikon, toasted peanuts, scallion oil, fried shallots, and nước chấm. Meaning "little meats" in Mexico. Often used in tacos and burritos. And this tasty recipe has just 6 ingredients. Combine all ingredients and let stand for an hour. Bake in a shallow baking pan for 2 hours, periodically pouring off any fat that accumulates. Spoon meat into hot flour tortillas. 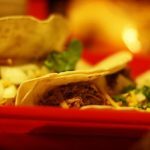 Spoon carnitas onto hot flour tortillas. 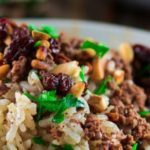 Hashweh, which means "stuffing", is a delicious dish made with ground beef or lamb and rice, seasoned with sweet spices. It is very popular in the Middle East and parts of the Mediterranean. While Hashweh is excellent as stuffing for poultry or meat, it also can be a flavorful entree or side dish. Soak the rice in cold water for 15 minutes or until the rice grain breaks. Now in a cooking pot, combine the ground beef, cinnamon powder, salt, nutmeg, allspice and cook over medium heat. Meanwhile, in another pan heat 1 tablespoon of cooking oil and fry the pine nuts and almonds, then set it aside. Now top the beef with rice and season the rice with the salt stirring it constantly for a few minutes on medium heat. Add the beef broth (or lamb broth) and bring to a boil. Reduce the heat to low and cover with a lid and simmer it. Continue to cook with the lid on until the water is absorbed and the rice is tender, for about 30 minutes. Note: Add ¼ cup of water if necessary. Now place a large serving platter on the opening of the rice pot and carefully flip the pot content on to the platter so that the meat layer now tops the rice. Garnish it with roasted pine nuts, almonds, and raisins before serving. 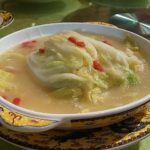 Chinese Cabbage Soup is a quick, delicious, warm and healing soup. Boil water. Cut cabbage into shreds and add to boiling water. Add salt and MSG. Boil for 10 minutes. 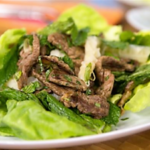 Mix beef with light soy sauce, cornstarch, sesame oil and sherry. Add meat mixture and boil for 2 more minutes. Serve hot. 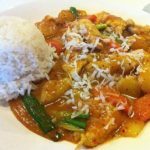 Filipino-styled chicken curry made with coconut milk and is brightened by fresh garlic and umami seasoning. In a large pan, saute the garlic and onion. Add the chicken pieces and cook for 2-3 minutes, stirring continuously. Add the salt, MSG, black ground pepper then mix, add curry powder (stir). Add the first cup of coconut milk, stir, and cook for a minute until chicken is partly cook. Add the potatoes, carrots and green bell pepper, 2nd cup of coconut milk and bring to a boil, then turn the heat down to simmer for 10-15 minutes or until the potatoes are tender. 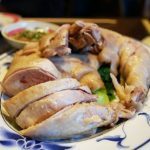 This recipe is for authentic Asian Poached Chicken, which is a poached chicken dish made with a classic ginger and scallions sauce. Place the chicken in a covered stock pot filled with enough water to cover the chicken. Bring to a boil and simmer about 20 minutes. Turn off the heat and let the chicken stand in the cooking liquid until just warm. Drain, reserving the broth for another use. Rinse the chicken under cold water, pat dry, and rub lightly with sesame oil. Cut the chicken into pieces. Arrange neatly on a platter. Heat the peanut, vegetable, or corn oil in a small saucepan, and when it is hot add the ginger and scallions. Cook about 30 seconds; remove ginger and scallions with a slotted spoon, leaving the oil in the pan. Scatter the ginger and scallions over the chicken. Add the remaining ingredients to the oil, bring to a boil and pour over the chicken. Serve at room temperature. 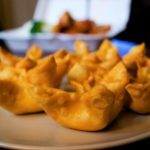 Crab Rangoons, sometimes called crab puffs, are crispy dumpling appetizers served in American Chinese and, more recently, Thai restaurants. These rangoons are filled with crab, cream cheese, green onions and the perfect blend of spices. To form the crab rangoon: Place the small bowl of water on your work surface. Take your finger and dip it in to the water. Run your finger on the outside edge of the wonton square. Then gently fold it over to form a triangle shape. Seal the edges firmly so they don't open during frying. You will find that as you seal one edge, the other may raise a bit, that's okay, go with this, it makes the process quicker and easier. Once you get the hang of it you'll be moving right along. Grab another person to help and you'll be flying! When finished forming the crab rangoon: Place a pan suitable for deep frying over medium-high heat. Immediately pour the peanut oil to a depth of about 2". Heat to 350°F. Make extras to freeze and enjoy later. 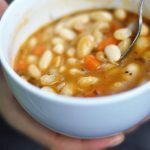 A light Vegetarian White Bean Soup that tastes better without the ham found in typical bean soup.